The use of medicinal plants to help treat various diseases is a practice that’s as old as mankind. For example, the Egyptian medical book known as the Ebers Papyrus, written in 1550 B.C., details the use of 700 different plant species for therapeutic purposes. Mentioned plants include pomegranate, garlic, willow, coriander, juniper and onion. During the seventh century, Slavic people used cucumber, nettle and yarrow to help fight against various insect bites. Black Seed Oil is a pure fat distilled from the seeds of nigella sativa, a common flower native to south and southwest Asia. This is often referred to as black caraway or black seed and is the seed of the fennel plant. The seed of this plant has been used in traditional medicines and food for thousands of years. In Indian Ayurveda and Unani traditional medicine, black seed figures greatly in their practice. For Muslims, black seed is known as the “Habbatul barakah” or the blessed seed. It is believed that the prophet Mohammed considered it to be a “remedy for all diseases except death.” One of black seed’s most popular applications is as an herbal oil. The use of Black Seed Oil is considerably different to consumption of the seed. These seeds have been used in curries, spiced breads and five spice and other foods. 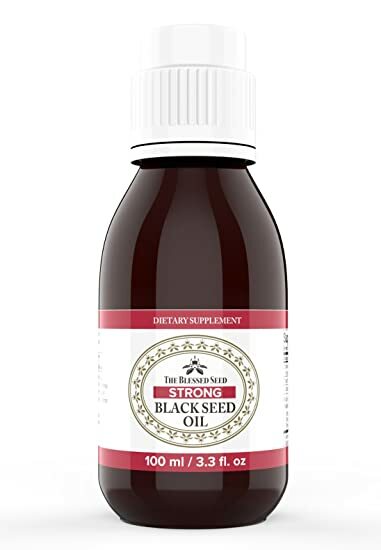 Benefits of Black Seed Oil include improving immune function, balancing cholesterol, fighting infections, fighting harmful pathogens, reducing inflammation, reducing risk of certain cancers, improving cognitive performance, liver health, combating type-2 diabetes, improving skin health, supporting eye health and supporting hair growth. Both the spice and the concentrated oil are able to improve immune function in a modest degree when used in culinary doses and cooking methods. This means that there is a relatively easy way to gain the positive effects without an excessive amount of effort – adding black seed oil to curries and cooking processes can be hugely beneficial to health. The good fats found in black seed oil are effective at increasing the ratio of HDL to LDL cholesterols in the blood – this will reduce blood pressure, improve the metabolism of fat and reduce the chance of health problems like atherosclerosis, where the build up of fat-based plaques in the blood stream reduces bloodflow and damages the cardiac system. Phytochemicals like ‘TQ’ can also improve the body’s inflammation-suppressing responses both at a superficial level (when applied to the skin) and through consumption as a food. This means that various inflammation-based aches and pains such as joint problems can be reduced in the short term, though it is also important to use this time and pain-freedom to solve the cause. The phytochemicals described above also possess a number of other qualities that help them reduce the risk of cancer. The mixture of anti-oxidant, anti-bacterial and anti-inflammatory effects promote a healthy internal environment (preventing cancer in the first place), reduce the possibility of cell damage and reduce the chance of precursor illnesses that might damage the immune system. Black seed oil isn’t going to cure cancer, but it may provide you with an increased safety if consumed over a long period of time. One of our favorite benefits of black seed oil is its ability to inhibit AChE – an enzyme that breaks down Acetylcholine in the body. Acetylcholine is one of the most important and potent compounds produced in the body. This chemical is essential to memory and brain function, but also improves power output in athletes and is used to prevent the symptoms and risks of developing brain and neurological diseases. For example, ACh is used in the treatment of scleroses because it improves the health of the tissues around the nervous system, reducing the chance of damage and inhibition to these tissues. Acetylcholine is also essential in the combatting of Alzheimer’s disease and dementia. Not only can it delay the onset of these diseases and reduce overall risk, but it can reduce the progression of such diseases in populations who have already been diagnosed. Amongst healthy individuals it will improve memory, protect against degenerative brain diseases and improve force output during exercise. This is why we love it so much! As the body’s main chemical processor, the liver is not only responsible for producing the chemicals that keep us alive and healthy, but it also converts toxins and other harmful chemicals into more tolerable compounds to be excreted. This means that the liver endures a serious amount of mechanical and chemical stress to keep us alive and the poor diet and lifestyle choices that we make are generally going to catch up with our liver as we age. Early findings suggest that black seed oil may be one of a number of plant-based oils and supplements that can be used to improve the health and function of the liver. Given that so many people have poor diets, consume too much alcohol and/or drugs (whether recreational or ‘prescription’), we believe it is important to spend some time really looking after the liver. If you’re looking for a way to detox your body, proper care for the liver is the best way to go. Many ‘good fats’ are great choices for reducing blood sugar, cholesterols and improving the conditions for those who suffer from type-2 diabetes. However, the effects of black seed are even more impressive than many similar oils due to the improvements that it has shown on the contributing processes in the pancreas, as well as reductions in blood sugar markers and an improvement in the concentration and sensitivity to insulin. Insulin sensitivity has been a buzzword for the weight loss industry in recent years, but for those suffering with Type-2 diabetes it is a serious concern; a concern that black seed oil can improve. The use of natural anti-diabetics and fostering the improvement of diet and lifestyle is a far more sustainable and responsible approach to the treatment of type-2 diabetes as it is through lifestyle and diet that it is most likely to develop. Clinical pharmaceutical interventions generally have severe side effects whereas natural additions and changes to the diet are likely to be gentler and more effective in the long run. One of the main health benefits of black seed oil is that it is so neutral when it comes to side effects. There are almost no negative side effects associated with it, even though it contains various phytochemicals that are used as pesticides or skincare products. The fact that it is so kind on the body with almost no negative effects is why it has been so well received by those with an interest in nutrition and health.